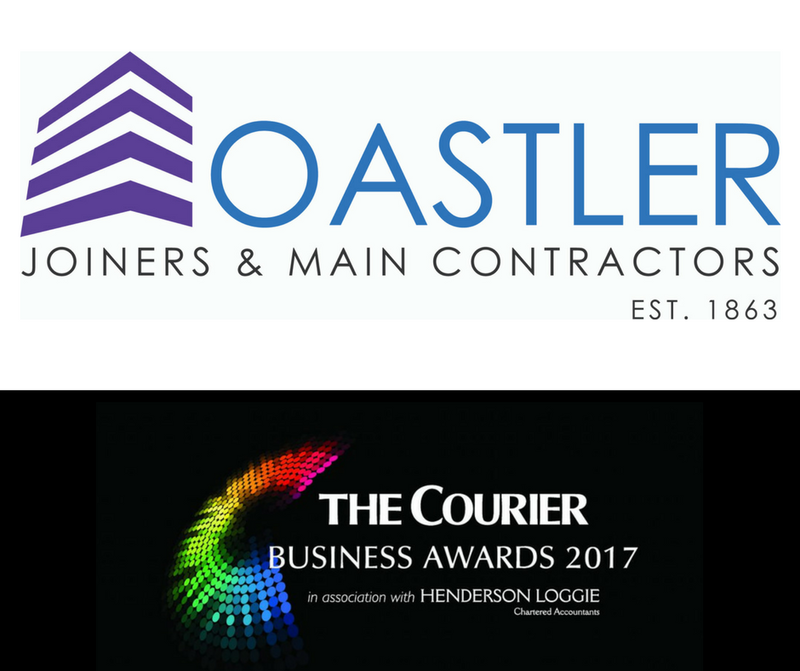 Everyone at Oastler joiners is delighted to announce that we were finalists in the Courier Business Awards Manufacturing Business of the Year 2017. The prestigious event, now in its fifth successful year, celebrates local businesses and entrepreneurs who are striving to achieve commercial success, go the extra mile to serve their customers and place the community at the heart of everything they undertake. The celebratory award ceremony, which took place at the Apex Hotel in Dundee, was attended by over 700 guests from local businesses across the Tayside and Fife region. It event was hosted by the incredibly talented writer and broadcaster Giles Brandreth. The key to the award centred on not only the longevity of the over 150-year-old company, but the pride that we place in the quality of our workmanship, with our staff specialising in developing bespoke joinery for a range of clients throughout Scotland and the UK. We were faced with tough competition within the manufacturing category however with much larger local competitors such as Ingenico and Mackie’s at Taypack competing for the prestigious award. Though we were ultimately unsuccessful in winning the award, the team who attended the night agreed it was not only a fantastic evening, but was a great opportunity to meet and network with other local businesses and entrepreneurs from throughout the Tayside region. Brian Thompson, MD at Oastler joiners commented, whilst we were ultimately not successful in winning the Manufacturing Business Of The year category, we are incredibly proud to have made it to the final of what was a fantastic evening of entertainment and celebrations. I am incredibly proud of the hard work my team undertake year-round to ensure the continued success of the business, and long may this success continue!